One of the key elements of The Celebration is the style in which it is presented. 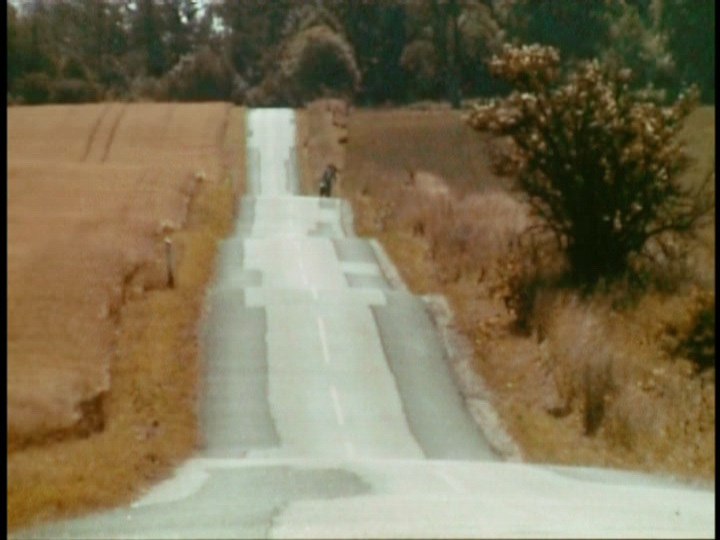 Filmed using a shaky, hand-held camera with natural lighting and little or no post-production (other than to transfer the video image to a 35 mm negative), Verterberg's approach mimics the look of a home movie. The effect is to make the viewer feel like he or she is part of the action; an impotent observer seated at the table with all of these individuals. It is a sometimes-unnerving experience. The characters become real to us, and their actions take on an importance they would not if the circumstances seemed less intimate. If the style looks familiar, that's because it resembles the approach used by director Lars Von Trier in Breaking the Waves. 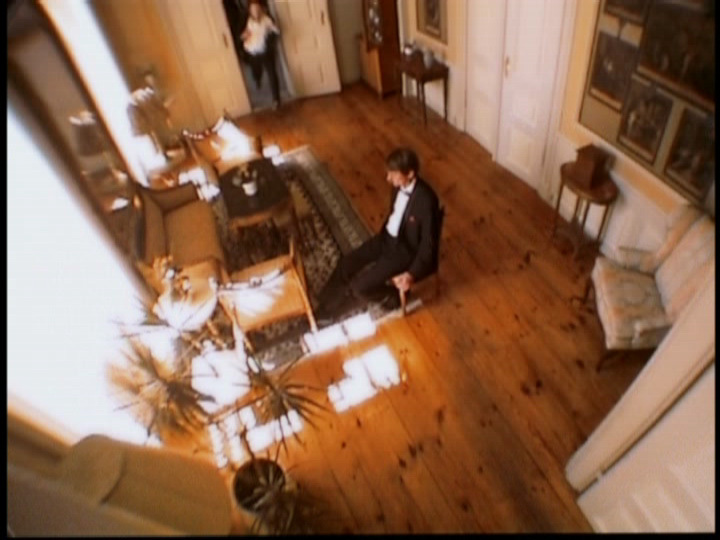 Von Trier, Vinterberg, and two other Danish directors signed a pact (after the production of Breaking the Waves) called "Dogme 95." A rejection of Hollywood's fascination with special effects, Dogme 95 touts the value of cinematic simplicity: hand-held cameras, natural sound and lighting, location filming only (no sets), and no computer manipulation of images. The Celebration is the first feature to bear the Dogme 95 seal of approval, meaning that it meets the standards established by the charter. 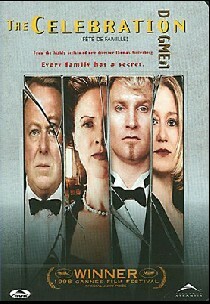 The script, which transcends the clichés of the genre, is another reason for The Celebration's success. 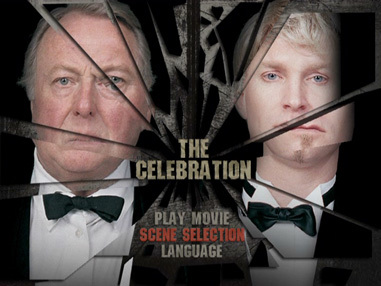 Vinterberg and Mogens Rutov have penned a tight, taut screenplay that addresses twisted family dynamics in an immediate way, by combining effective drama with an undercurrent of dark humor. The film touches on issues like child and spousal abuse, racism, and revenge, and, in the process, it shows how difficult it can be to differentiate between love and hate when the line between them becomes blurred. Big thanks to Bill McAlpine and Donald Brown for all the Screen Caps! Comments ADDITION (Alliance Atlantis - Dec -04) - Well, this is quite as I am usually complaining about Alliance Atlantis - a VERY poor DVD production company. But they have included removable subtitles in this release and that outshines the other editions. I still think that the Universal has a slight edge in the image, especially if you consider that the Alliance Atlantis was taken from a PAL source. The Universal edition is slightly sharper than the Chinese disc, which is a PAL-to-NTSC transfer and as such has 4% speed-up. The Chinese disc has a distinctly warmer color cast, which is usually a good thing, but I'm not certain it's preferable in this instance. 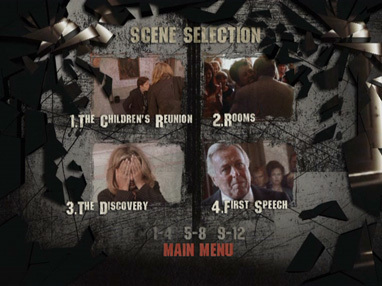 Both DVDs display identical prominant digital artifacting in the form of chroma and blocky pixilation, especially in scenes with low light (which is much of the film). See the door and tub in the third set of captures. This is no doubt inherent in the original digital video master. It's very odd that the trailer on the R1 DVD displays a much sharper and more pleasing image than is seen in the full film. The Chinese disc's audio is an artificial surround mix, which while not awful, also does nothing to improve on the original two-channel sound. 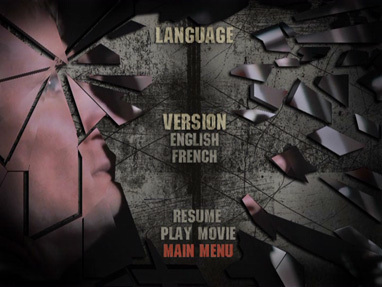 The subtitle translation on both DVDs seems identical, with the Asian disc featuring fully optional subs, while the US edition has ugly burned-in English subs at the bottom, with optional French and Spanish subs displayed at the top of the image, causing quite a clutter. 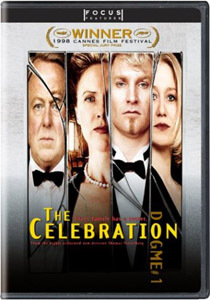 I believe this Chinese DVD of The Celebration was released in 2000, and was possibly the first edition of the film in the world with English subs, but I haven't seen it offered anywhere recently. There are other editions released in the Asian market, but I'm not sure how they compare to the mostly decent version seen here.